Your biological clock even uses electrical activity in order to help keep your circadian rhythms in order.1 You are, quite simply, an electrical being. If electrical activity stops in your body, you cannot survive. But how, exactly, does this electrical activity take place? The effect is sufficient to maintain your body at the same negatively charged electrical potential as the Earth. This simple process is called “grounding” or “earthing”, and its effect is one of the most potent antioxidants we know of. Earthing or Grounding has been shown to relieve pain, reduce inflammation, improve sleep, enhance wellbeing, and much, much more. When you wear rubber- or plastic-soled shoes, however, you are effectively shielding yourself from this beneficial influx of electrons from the Earth. Grounding's potent antioxidant effect helps alleviate inflammation throughout your body, a potentially life-saving benefit since inflammation is at the root of most diseases, including heart disease. According to Dr. Stephen Sinatra, a prominent cardiologist, inflammation thrives when your blood is thick and you have a lot of free radical stress, and a lot of positive charges in your body. 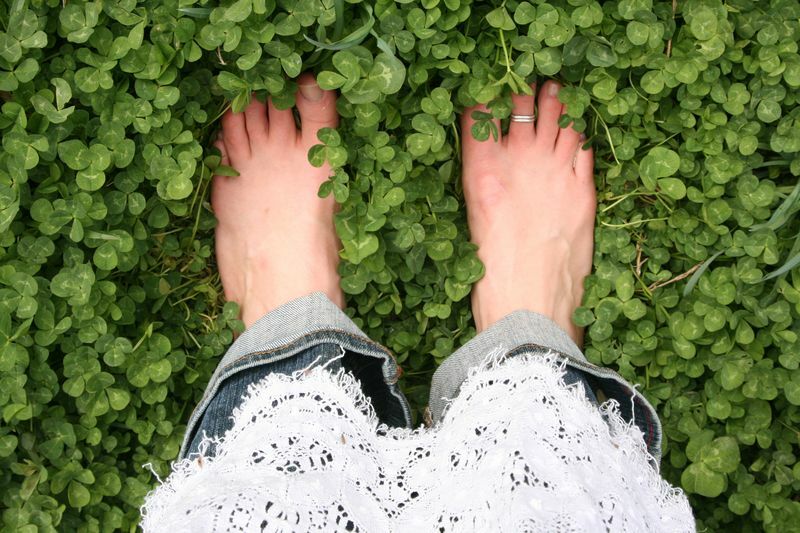 Grounding effectively alleviates inflammation because it thins your blood and infuses you with negatively charged ions through the soles of your feet. Grounding helps thin your blood by improving its zeta potential, which means it improves the energy between your red blood cells. Research has demonstrated it takes about 80 minutes for the free electrons from the earth to reach your bloodstream and transform your blood. Hypercoagulable (thick, slow-moving) blood contributes to chronic inflammation, because when your blood does not flow well, oxygen can’t get to your tissues. Grounding's effect on blood thinning is so profound that if you are taking blood thinners, you must work with your health care provider to lower your dose otherwise you may overdose on the medication. You can see my interview with Dr. Sinatra below.